We will pick up you from your Hotel in Luxor then transfer to the traditional Nile Felucca sailing boat and start your fishing day by sailing in the Nile to our special fishing area where you will spend your day enjoying the Nile island and fishing, in the noon time enjoy your Lunch which will be cooked by traditional way on the Nile Felucca. 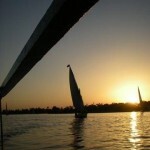 There is opportunity to take some very nice photos of the Nile sides in the day time and during the sunset. after enjoying your fising trip we will return you back to your hotel ending our service to you, all this leaves us to say is Good Luck with your fishing. What the Minimum of this Tour? The Tour run minimum of two persons in case of Single Traveler it will be a different rate, for that case there will be a supplement of 100% of the Tour Rates. 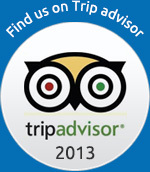 Prices are quoted in US Dollars per person per Tour and valid year around.